Born and raised in Tasmania Kirsty has never been far from the beach. “I’ve been beachcombing since I was five years old”. After moving to Melbourne in 2012 she found and fell in love with sea glass. “It’s an addiction”. Kirsty is a trained interior designer and has always had a creative side. 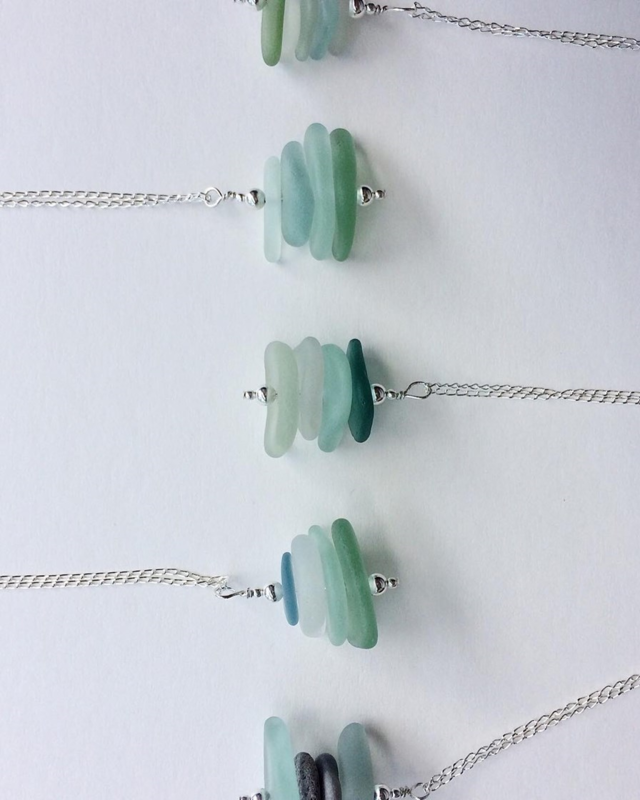 When her collection got to the point of being too large to store anywhere, she decided to share her love of sea glass and now creates pieces of art and jewellery for others to admire and wear.